Kohl’s $1.69 Black Friday appliance sales – choose from 16 items! It’s that time again — time for Kohl’s annual FREE Black Friday small appliance sales! These sales begin at Midnight Central time on Monday, November 19th, 2018 and in-store at all Kohl’s locations at 5:00pm Central on Thursday, November 22nd. 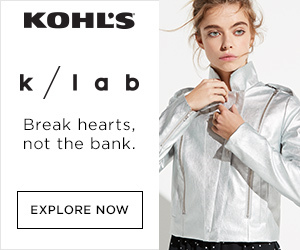 Kohl’s also begins a new Kohl’s Cash promotion on 11/19: Spend $50 and get $15 in Kohl’s Cash! Your Kohl’s Cash will be redeemable Nov. 19-23rd, 2018. Mail in for three $12 rebates. Get $36 back. That’s THREE appliances for $5.07 – just $1.69 each! Here are the appliances you can choose from. We see this deal every year, and every year, some of them sell out within hours. Here is the rebate form you will need to mail in for the appliances you purchase: $12-pre-paid card rebate . DOUBLE CHECK each appliance as you add it to your cart to make sure it qualifies for the rebate. Here is a link to Kohl’s Rebate Form Center. AND.. there is ANOTHER group of NINE more kitchen appliances that are TOTALLY FREE after rebate — you’ll actually make money buying them! These appliances now begin 11/22/18 at 5:00pm Central. Check out this link for all the info. How do you deal with the UPC codes for gifts? Casually cut it out haha? Or a no go on gifts? Now THAT’s nice — great find! I noticed that the Kohl’s shipping slip has a different UPC number for the coffeemaker and the stainless steel can opener than the numbers listed on the rebate form. The UPC numbers on the packages themselves do match the ones on the rebate form though. Has anyone had an issue with them not accepting these slips or maybe it doesn’t matter?